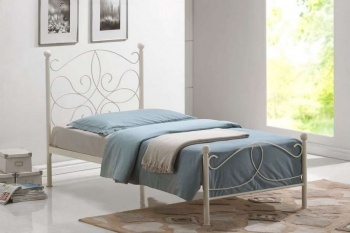 Gorgeous romantic single bed frame with ornate detailing. A great choice of bed frame for girls bedrooms. 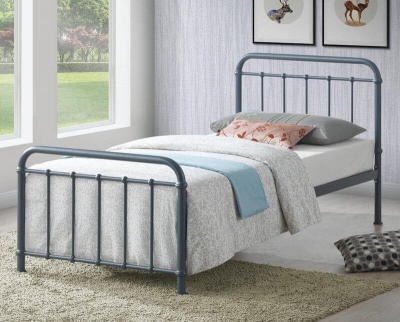 The Papplewick metal bed looks stunning with crisp white bedding. The sprung slatted base adds comfort and mattress life. Traditional design with plenty of nostalgic appeal. Colour: Stone white which is an off white colour. Eggshell textured finish. Bottom of side rail to floor - 26.5 cm. Constructed from powder coated steel.